'It is a wish and a dream, telling us that nothing in life -- and indeed, no life -- is beyond bliss, and that all it takes is a bit of jukebox serendipity and, most important of all, the right shoulder to live on and nest in,' says Raja Sen. The cinematographer shines the brightest in Moonlight. The film by Barry Jenkins is a soulful and evocative work of motion picture poetry, performed by fine actors and with a musical score that keeps things heartbreakingly dreamy, but what cinematographer James Laxton brings to the table is the most special of all. 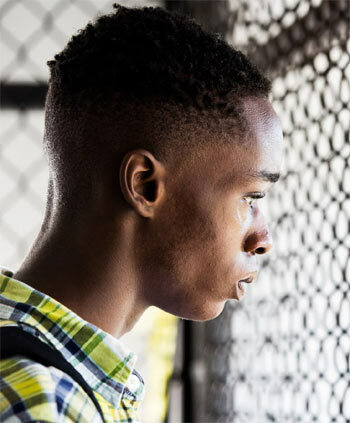 Based on Tarrell McRaney’s gorgeously named play In Moonlight Black Boys Look Blue, the film features young black men, dominating black men, confused black men and romantic black men filled with yearning, and Laxton amps up the contrast ratio to make their skins gleam. The film is shot as if the main character Chiron has a camera for an imaginary friend. It perches near his shoulder and, wordlessly, gives us a sense of what this blessedly silent protagonist might be feeling. The camera keeps pace with him, running when it needs to, but mostly -- and importantly -- floating around him, shooting him in slow-motion except it isn't slow motion. It is, merely and exquisitely, soft. Yet the world captured is a hard one and the skin we see brilliant and shining, lambent with a proud distinctiveness, while the glaringly high contrast bleaches out the over-sunny Miami backdrop even as it brings Chiron and his people into sharper focus. We get to know Chiron three times, across three age-demarcated chapters of his life -- Little, Chiron and Black -- and these are the three names he earns for himself at three distinct times. We see a confused young man come of age and find his way and lose his way and, gradually, grow into his own. He comes to accept not just the potentially blue colour of his skin but his own sexuality. It is achingly tender, and Jenkins lets the film wash over us in linear fashion, letting us sense and smell and feel Chiron and his awakening, letting us, too, long for a midnight swim. It stretches, as some poems do, too long, and Jenkins is as besotted with the brittle world he captures and his fragile protagonist -- played marvellously by Alex R Hibbert, Ashton Sanders and Trevante Rhodes, over the years -- as he means for us to be. Each chapter opens with an immediate indication of where the narrative will head, and this constant narrative inevitability, married to the film's languorous pace, makes for something both beautiful and dull. Jenkins lists Wong Kar-Wai as a lasting influence on his work, and while we see echoes of that masterful cinematic lyricist here, Kar-Wai's rhymes are born almost entirely out of the unexpected. Jenkins creates moments you can picture before you see them, but they are, nevertheless, frequently worth a sigh. The performances are mostly fine, led by Mahershala Ali as a tender crack dealer and Janelle Monae as his flawless girlfriend, yet as I write about them I realise how singular, just how one-note, each character is. This is, I believe, by design. Each supporting character in this film has but one role in Chiron's life, and they each play that very part while the boy in the centre grows into a man, fed on those specific, vital aspects. He is a spectacularly quiet protagonist, internalising these notes around him and taking them all in. Like the film, he is made whole by fragments. Unfortunately, this approach also leads to some shortchanging for some of the actors involved, and Naomi Harris, as a strung-out junkie mother ends up playing her part in a melodramatic pitch jarring to the rest of Moonlight. For Moonlight is, above all, a plea. It is a wish and a dream, telling us that nothing in life -- and indeed, no life -- is beyond bliss, and that all it takes is a bit of jukebox serendipity and, most important of all, the right shoulder to live on and nest in. The moon may or may not be a balloon, as ee cummings unforgettably wondered, yet all that matters is that everyone's in love and flowers pick themselves.